The 0xf000000 above is the stack size. It’s probably way more than I need. This solved my problem. While this is a good workaround, I think the Java solution is better as it doesn’t require recompiling the code. But then, java is an interpreter, so it has that extra flexibility. 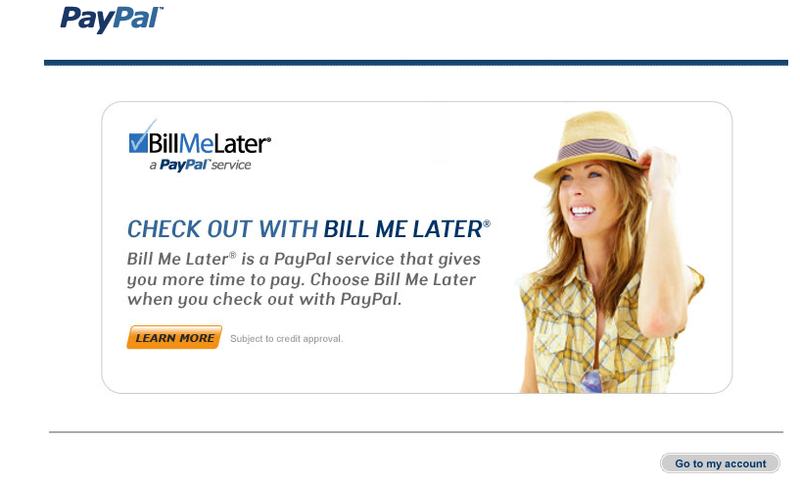 But I don’t want to join BillMe later now or ever. Can’t I just say once, that I am not interested? Why do I have to keep wasting my time and a click each time I login to Paypal? I sent the same through their contact form, almost 24 hrs back, yet to get a reply, but this is annoying me. Hence this post. Update: After a day, I didn’t get any reply from Paypal but I no longer see the BillMe later screen as soon as I login.